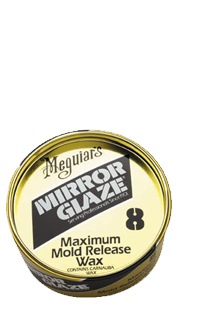 Meguiar’s Mold Release Wax #8. A blend of imported waxes specially formulated to provide the maximum number of releases per application. For fiberglass applications. Specially useful on tooling and new molds.